Continuing the Reliance tradition of rewarding its young engineers on the successful completion of their Apprenticeship Training Programme, David Black and Tom Broom have recently returned from a Tall Ship Sailing adventure. Originally introduced by Mr Selka, Reliance’s founder, over 40 years ago, the adventure was intended to provide recent graduating apprentices the opportunity of an enjoyable, developmental challenge, as they moved into the next phase of their career. This year saw David and Tom set sail from Dartmouth on a 4 day voyage around the Isle of Wight, aboard tall ship Tenacious. 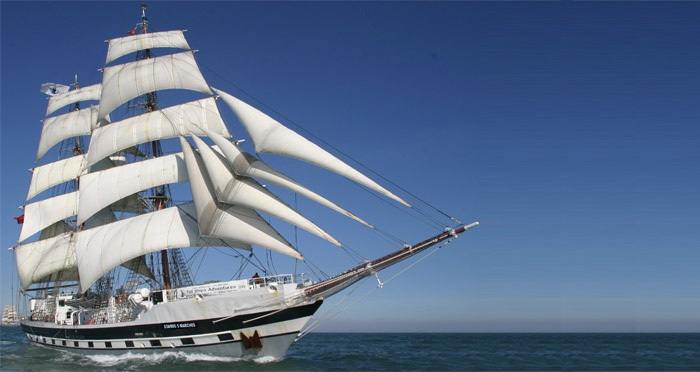 Tenacious is the largest wooden tall ship of its kind in the world, and is specifically commissioned and built to enable people of all physical abilities to sail it. For more information on our apprenticeship scheme, click here.